Will someone pay such a high price for a condo without hotel amenities? Live on Central Park West for $125,000 per month. Leroy Schecter first asked $95 million for his 35th-floor condo combo in Manhattan--and that clearly, as that would have been one of the most expensive pads in the city, was too high. He soon bumped the price down to $85 million. Then, the home was taken off the market. That's because Leroy "fell in love" with it. He hadn't seen it during construction, but when he finally set eyes on it, he decided he wanted to move in. But apparently it was a fleeting love. Now, Leroy has decided he wants to rent the place for $125,000 a month. The Observer points out that this price is not unheard of. 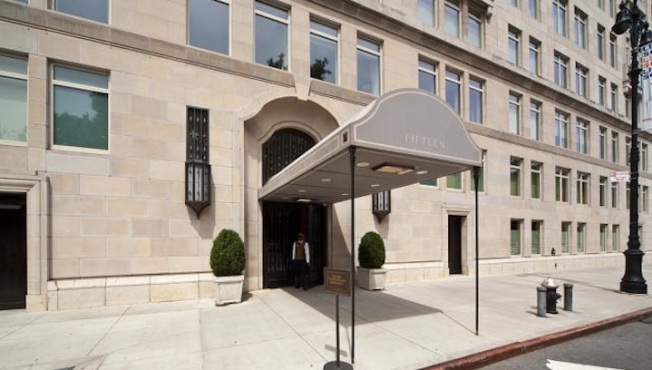 Units at the Waldorf Towers go for $140,000 a month, the Astor Suite at the Plaza once asked $165,000 a month (later reduced to $125,000). But those apartments offered full amenities of the hotels--can Leroy's unit ask the same? The five-bedroom home is "not the most elegant amalgamation," reports The Observer. "The tenant would have to pass through no fewer than five separate doorways to get from the master bedroom to the bathroom, and would experience prolonged hunger pants before reading the kitchen for a midnight snack." Time will tell if there's someone out there who will put up with that for the steep price. Read the full piece on The Observer.